Bathed in shadows, a vague figure walks through a seedy lane, followed by a gun wielding detective, both possibly trying to track down another victim in an isolated house, somewhere in the outskirts of a bustling city. Sensing the hint of a crime fiction? Well, close enough. The scene, rightly perceived as a crime scene, draws its elements from arguably one of the most complex and creatively challenging styles of film making – Film Noir. Deeply rooted in German Expressionist Photography, Film Noir, French for ‘Black Film’, essentially incurs low key black and white visual style of the 1940s and 50s. The years immediately following the end of World War II witnessed the emergence of Noir, cinematic and literary. Several concurrent developments like a number of downbeat crime movies in Hollywood, an increase in the publication of crime novels in France, paperback novels in America etc. led to the widespread fabrication and acceptance of Noir. Film Noir is often recognizable via a key set of visual and plot elements. Visually, one would notice low-key lighting, chiaroscuro effects, deep focus photography, extreme camera angles and expressionist distortion. From a plot perspective, the most common facets are a subjective point of view, shifting roles or the morally ambiguous nature of the protagonist, possibly an ill-fated relationship with the society and ways in which 'noir' itself functions as a socio-political critique. 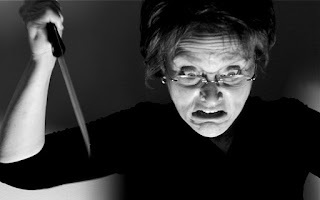 The plot’s female lead usually appears as a femme fatal (an archetype that more or less emerged from this style) or a chased or tormented victim. The stories are set mostly in urban locales. Voice Over and semi-documentary style also form a part of the narrative. However, it is possibly the fatalistic attitude of Film Noir that gives it its engaging appeal. Contrast to the American happy endings endorsed by movies like ‘Sound of Music’, Film Noir depicted 'crime culture' based on jagged edged storylines. More often it would be about an average citizen making a mistake that snowballs into much greater problems. In Film Noir lingo it is called the spider web of deceit suggesting a an eruption of hysteria and panic. The Maltese Falcon (1941), Double Indemnity (1944), and The Big Sleep (1946) are probably some of the early Hollywood offerings in the Noir category of films. Humphrey Bogart, biggest name in Film Noir, derives his distinction for exemplifying the hard boiled detective in movies like The Maltese Faction. His iconographic status in the realm of Film Noir however comes from many non investigative Film Noirs such as High Sierra (1941), Dark Passage (1946) and In a Lonely Place (1950). Bogart's roles in these movies suggest the different forms Noir took as it developed during forties. This also led to the surfacing of the pathos of the aging gangster, a falsely accused/wrongly convicted man or even the violence of a psychopath. The core concept was to make people identify with such characters. The other key iconic figure of Noir is, of course, the fatal woman, who donned provocative outfits on film posters and pulp covers. In her sensuous and aggressive demeanour she posed as the prime distraction for the male protagonist and even the antagonist, often resisting their assertion and playing with their minds. Rita Hayworth’s portrayal of the self –assured sexually irresistible femme fatale made her a known face in Film Noir. 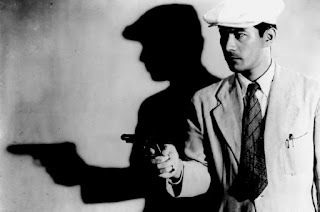 Outside of Hollywood, Noir has been attempted and successfully integrated into film making by many directors, celebrated Japanese director Akihira Kurosavo being one of them. Drunken Angel (1948), Stray Dog (1949), The Bad Sleep Well (1960), and High and Low (1963), easily identifiable as Noir have added the oriental flavour to this style of film making. In the new millennium, Park Chan-wook of South Korea has been the most prominent director outside of the United States to work regularly in a Noir mode with ultra-violent films such as Sympathy for Mr. Vengeance (2002) and Thirst (2009. Christopher Nolan, of Inception (2010) fame, has played with Noir elements in all his Batman movies (Batman Begins and The Dark Knight), while his previous works like Memento and Insomnia established him as a connoisseur one of Neo Noir. The graphic novels inspired films like ‘Sin City’ and ‘Kill Kill Faster Faster’ encompass Neo Noir reflexivity. Tech Noir and Teen Noir are other styles that have evolved from Noir. Whether it is a genre or not is a topic of constant debate, mostly because of the sundry aspects that are a part of it; scholars and film historians have often said that Noir is more of a style and too diverse to be tagged as a genre.